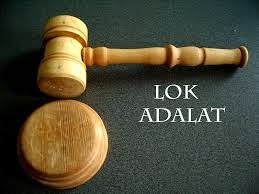 Lok Adalat is a system of alternative dispute resolution developed in India. It roughly means "People's court". India has had a long history of resolving disputes through the mediation of village elders. The system of Lok Adalats is based on the principles of the Panch Parmeshwar of Gram Panchayats which were also proposed by Mahatma Gandhi. With a view to provide speedy and economical justice, earlier Lok Adalats were being organized once in every quarter, but now this system has changed and Lok Adalats are being organized on last Saturday of every month at the District as well as Sub divisional level. Except non compoundable criminal cases, all cases can be brought before the Lok Adalat for amicable settlement. The prime objective of the Lok Adalats is to settlethe dispute amicably through compromise so as to save the time and money of the parties and to reduce personal enmity between them. Apart from this, Permanent Lok Adalats (Public Utility Services) has been established at Mansa. In this Permanent Lok Adalat all the matters regarding the public utility services like Electricity sup[ply, Water supply, Transport services, Services of public conservancy or Sanitation services, in Hospitals or Dispensary, Insurance services, Banking, Housing and Finance services are being taken up for early disposal. 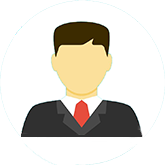 These Lok Adalats can hear and try the matters upto the limit of Rs.25,00,000 (25 Lac). And one of the main feature of this Lok Adalat is that no appeal lies against the passed award.